it could be because your microbiome is out of balance. This blog article might seem gross. However, “regularity” is an important part of enjoying optimal health, and something we need to talk about. I’m talking about “sending a fax”, “taking the Browns to the Super Bowl”, or “going to the Oval Office” — however you like to call it — and being able to do that every day, like clockwork, free from pain, free from discomfort, and with the dignity you deserve. Several clinical studies have now demonstrated that there is a clear link between “regularity” and making sure your microbiome is replenished with the right gut bacteria. Bifidobacterium longum (BB536) — in a double-blind, randomized study, Japanese scientists found that healthy adults who took this specific strain of probiotic were able to defecate more frequently, with softer and less odorous stools as well. Saccharomyces boulardii (Gnosis) — a clinical trial led by Italian scientists found that, as well as helping to prevent multiple different types of diarrhea, this probiotic strain also promotes regularity. You don’t get this relief from constipation and other health benefits from taking just any “probiotics”. You get them from taking the RIGHT probiotics — i.e. the exact same bacterial strains that were used in the clinical trials, at the exact same dose. As far as I know, no company has ever produced a probiotic supplement that contains the specific bacterial strains I just told you about, at the same doses used in the trials. 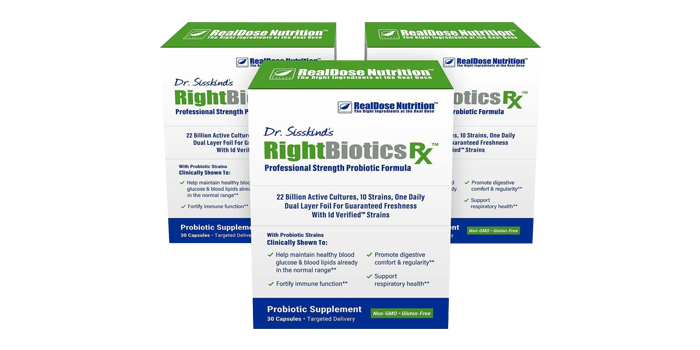 As a medical doctor, I wanted to be able to give my family a daily probiotic supplement that would give them the same health benefits that participants of these clinical studies saw. Relief from gas, bloating, indigestion, stomach cramps, nausea, diarrhea, constipation and other digestive issues that leave so many people feeling like garbage. Enhanced protection from colds, flus, and upper respiratory infections. 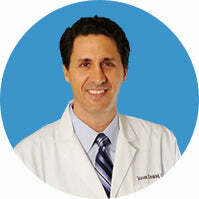 Control of cholesterol, blood glucose, and blood lipid levels. Help losing weight and keeping it off for good. 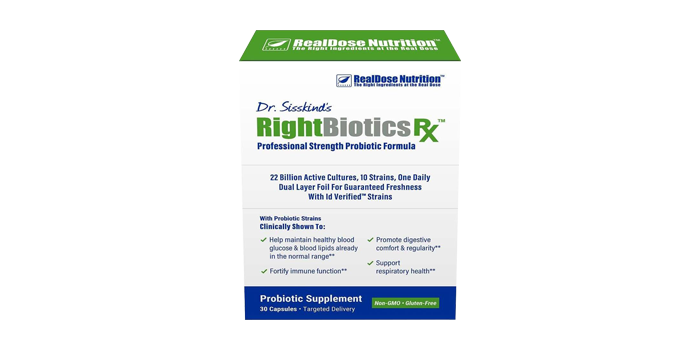 If you want to put RightBiotics to the test in your own life, the best way to do that is to order a 30-day supply of capsules, which costs $37 — i.e. just $1.23 per day. Wouldn’t you pay a measly $1.23 each day to be able to “go” properly? 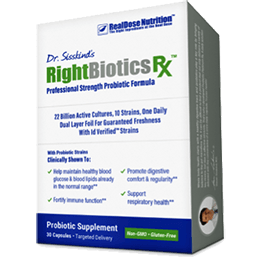 And if you’re already confident that RightBiotics is everything you’ve been looking for in a probiotics supplement, you can also lock in a three-month supply for only $102, or even six-month supply for just $186. At just over a dollar per day, this represents incredible value. 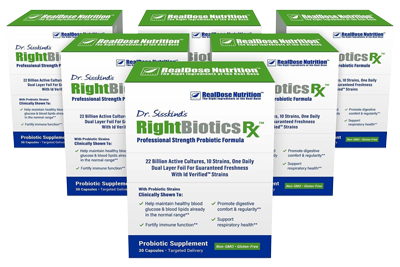 Select one of the three options below to give RightBiotics a try.